Honor and remember those who served. 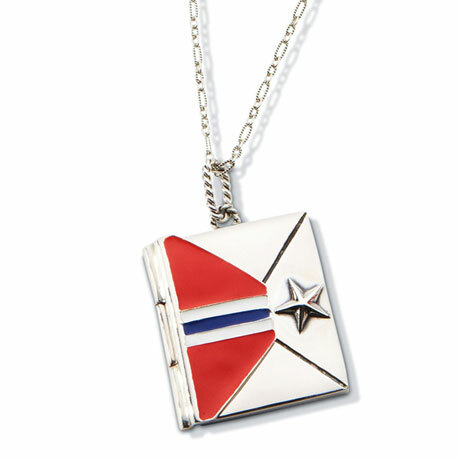 Sterling silver envelope is accented with red, white, and blue enamel and a silver star. Open it to find these words by President John F. Kennedy: "Ask not what your country can do for you, ask what you can do for your country." The back is engraved with "Respect, Remember, Revere." 1" pendant arrives on a sterling chain that adjusts 23-25". 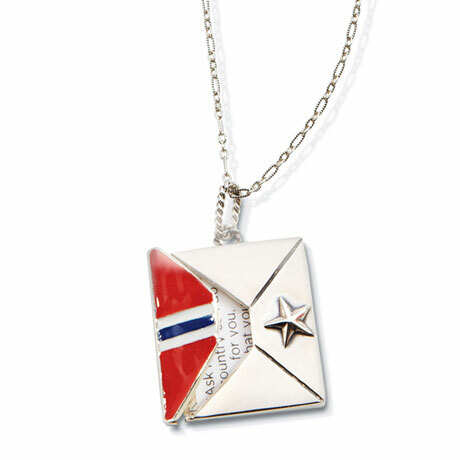 Sales benefit Jewelers for Veterans, a nonprofit that helps returning U.S. troops find training and jobs in the jewelry industry.